I have a DECT phone by Panasonic next to my ooma. I sold my scout -- multiple handsets cover what I need. The only thing scout offers over my setup is being able to use a 2nd line by another person. I don't need that anyway. The new ooma telo is pretty much the same as this setup but with scout feature integrated into handsets. I have the multiple cordless handsets, but that doesn't solve my problem of wanting to have a functioning ooma scout. You see, my home has two floors. The ooma hub is upstairs, next to my broadband modem. That's where our computer and TV are. We also spend a lot of time downstairs. It would be nifty to have the hub working to see when someone has left voicemails, turn on the do not disturb function, use the second line feature, etc. Also, I need to keep the hub near the computer table, etc, since I have a fax machine sitting there that plugs into the hub. just to see if this would work to make the scout functional. I was doubtful based on other posts, but thought I'd give it a try. For others considering this for reasons similar to mine, let me save you the time, IT DID NOT WORK. 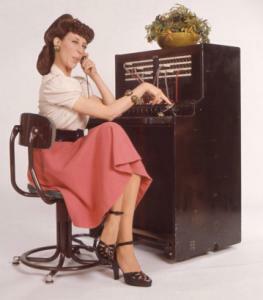 I'm just going to run a regular old telephone cord by the walls. I was hoping for a wireless solution in this wireless world to address my specific needs, but couldn't find one. r2g wrote: I'm just going to run a regular old telephone cord by the walls. I was hoping for a wireless solution in this wireless world to address my specific needs, but couldn't find one. That's probably the best option and if you're going to spend the time and money for wiring, you may want to consider using Cat 5e or Cat 6. So the question still remains, what is the solution when the cable modem and the phone jack are no near each other?! Why does the question remain? Just get a DECT phone and place your ooma next to your cable modem and distribute the handsets where you need them. I think r2g's house / walls / phone type is the issue. I have this setup and it works very well. Granted, it wouldn't work multiple floors away but to give you an idea of coverage, I have the handset work in an adjacent (but different) apartment building about 150 yards away where my aunt lives. Last edited by atici on Tue Jul 21, 2009 7:58 am, edited 3 times in total. atici wrote: Why does the question remain? Just get a DECT phone and place your ooma next to your cable modem and distribute the handsets where you need them. christyb wrote: So the question still remains, what is the solution when the cable modem and the phone jack are no near each other?! You could call the phone company to come have a new jack installed. The other source of confusion is that Ooma's online info refers to this problem and states that a "HomePlug" will solve it.